We got our first ultrasound of our little bun in the oven! We weren't expecting to get one this early so it was way exciting! 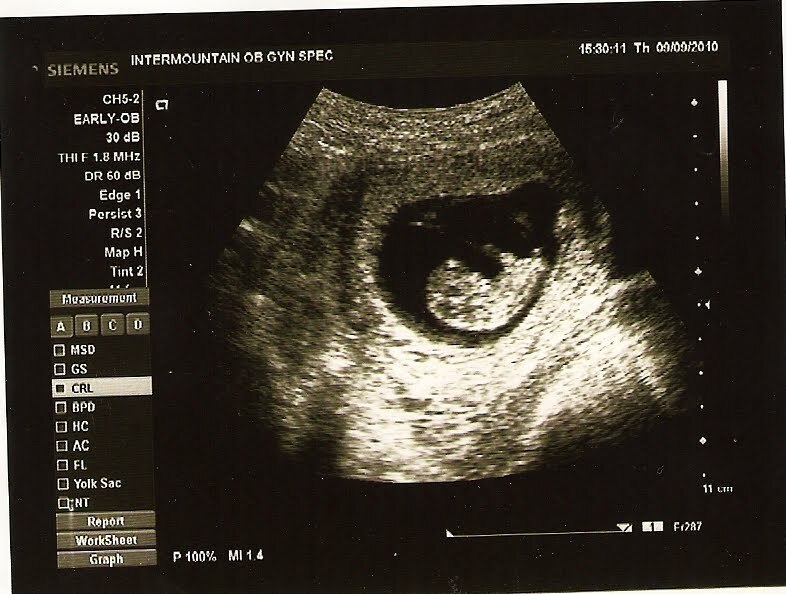 Obviously we didn't find out the gender yet because the fetus is only 11 1/2 weeks old...but in eight weeks we'll know! 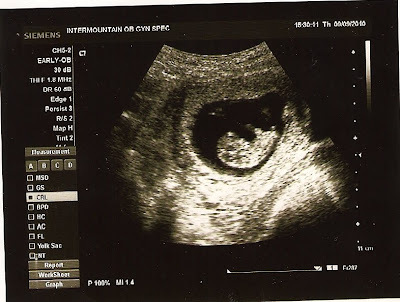 The black blobby thing in the middle is the uterus and the little white peanut in the middle is the baby with it's head to the left hand side and body to the right. My due date is set at March 30th. Yay, Peanut!!! Kiss the belly! YEEEHAW! I am pretty excited for you guys! This is awesome news!